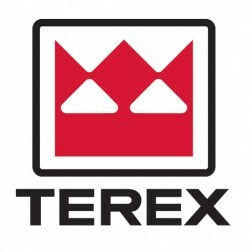 Shares of Terex (NYSE:TEX) have been given a consensus recommendation of “Hold” by the sixteen brokerages that are presently covering the stock, AmericanBankingNews.com reports. Two analysts have rated the stock with a sell rating, four have given a hold rating and eight have assigned a buy rating to the company. The average 12-month target price among brokerages that have updated their coverage on the stock in the last year is $37.53. In other Terex news, Director David A. Sachs bought 5,000 shares of the company’s stock on the open market in a transaction dated Friday, December 12th. The stock was purchased at an average price of $26.41 per share, with a total value of $132,050.00. The purchase was disclosed in a filing with the Securities & Exchange Commission, which is available at this link. Shares of Terex (NYSE:TEX) traded up 2.07% during mid-day trading on Tuesday, hitting $26.69. 795,118 shares of the company’s stock traded hands. Terex has a 52-week low of $25.40 and a 52-week high of $45.46. The stock has a 50-day moving average of $28.42 and a 200-day moving average of $33.95. The company has a market cap of $2.893 billion and a price-to-earnings ratio of 9.36. Terex (NYSE:TEX) last released its earnings data on Wednesday, October 29th. The company reported $0.59 EPS for the quarter, missing the Thomson Reuters consensus estimate of $0.61 by $0.02. The company had revenue of $1.81 billion for the quarter, compared to the consensus estimate of $1.81 billion. During the same quarter in the prior year, the company posted $0.77 earnings per share. The company’s quarterly revenue was up 3.0% on a year-over-year basis. Analysts expect that Terex will post $2.30 EPS for the current fiscal year. A number of research firms have recently commented on TEX. Analysts at Deutsche Bank cut their price target on shares of Terex from $35.00 to $33.00 in a research note on Monday. They now have a “buy” rating on the stock. Separately, analysts at Jefferies Group upgraded shares of Terex from a “hold” rating to a “buy” rating in a research note on Tuesday, November 18th. They now have a $35.00 price target on the stock, up previously from $30.00. Finally, analysts at Citigroup Inc. reiterated a “neutral” rating on shares of Terex in a research note on Monday, November 3rd. They now have a $32.00 price target on the stock, down previously from $36.00. Terex Corporation is a diversified global equipment manufacturer of machinery products. The Company is focused on delivering reliable, customer-driven solutions for a wide range of commercial applications, including the construction, infrastructure, quarrying, mining, manufacturing, shipping, transportation, refining, energy and utility industries.